Beginning in 2019, EYOS will offer a limited number of scheduled luxury departures where travelers will be able to book an individual cabin rather than chartering a full yacht. The first of these experiences is a one-week Antarctic expedition onboard the 77-meter yacht Legend from January 6th to 13th. “We are creating an experience that was, up until now, available only to private yacht Owners or those who chartered an entire yacht. We firmly believe the smaller the number of guests on an expedition, the better the experience, and with a private yacht-sized group, the experience will be intimate and bespoke. “Guests can linger on shore with charismatic penguins, jump into a Zodiac at a moment’s notice when a pod of whales surface nearby, or choose to head ashore later in the day after a morning massage. The experience will be theirs to define.” — Ben Lyons, EYOS CEO. EYOS pioneered fly in/fly out superyacht expeditions to Antarctica, and guests on this expedition will enjoy the same convenience of flying over the notorious Drake Passage. With seven full days on the Peninsula, guests will have ample time to explore and experience the Antarctic while still limiting time away from home. Three EYOS guides will be onboard with expertise in photography and the natural history of Antarctica. Prices for the one-week departure in January begin at 25,000 Euros per person, and include pre and post hotel nights in Punta Arenas, flights between Punta Arenas and Antarctica, and all drinks and activities onboard. Reservations will open on March 26th, but interested guests can be put on a wait list now by emailing legend@eyos.com. 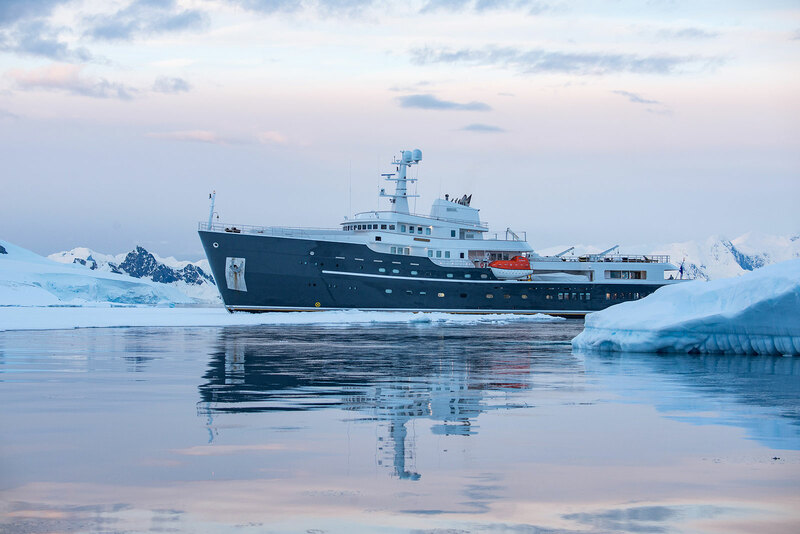 Later this year, EYOS will introduce other scheduled expeditions onboard superyachts in the South Pacific and the Maldives, as well as future polar expeditions onboard Legend.